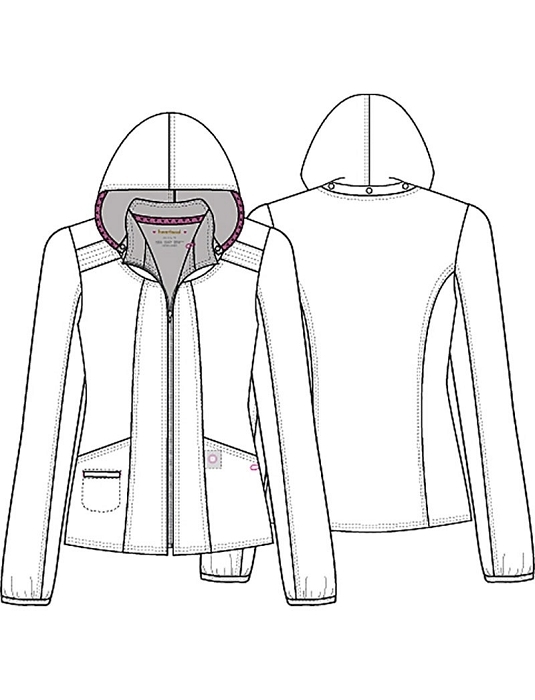 A Contemporary fit ,zip front warm-up jacket has a detachable hood. 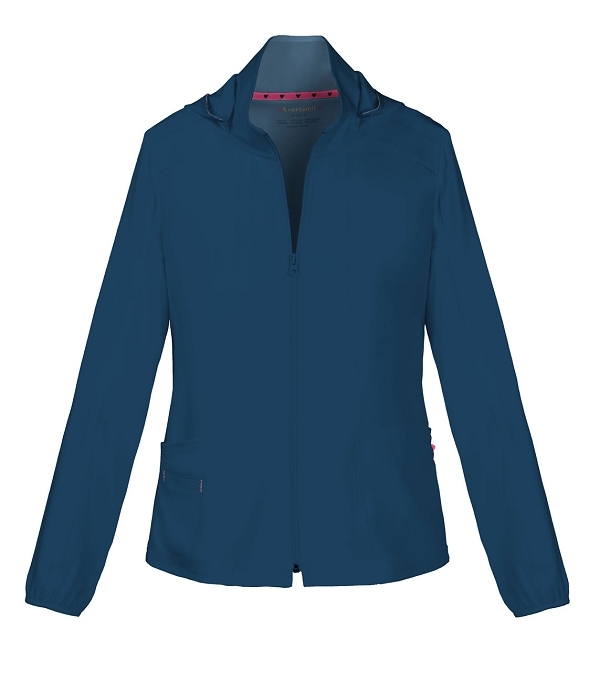 Patch pockets and an outer welt pocket with signature pink contrast bar tacks. Hidden pink grommet and bungee loop for headphone cable management. An exterior pink bungee loop. Signature woven tape at the back neck and hood edge. Elastic binding at the sleeve hem. Fabric: 95% Polyester / 5% Spandex Fine Dobby.